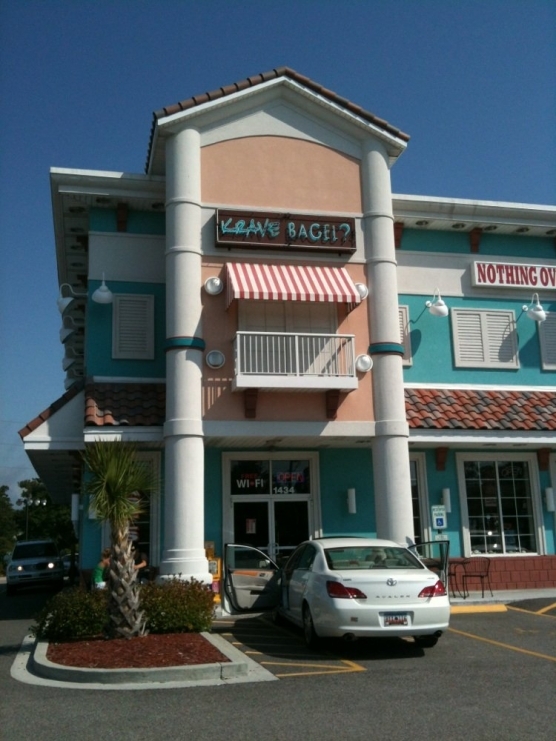 Krave bagels are hand rolled, boiled and then baked. They also offer fresh breads and baked goods all made from scratch. Their menu consists of everything from the 12 flavors of fresh baked bagels, breads, rolls and crossiants to Boars Head Delicatessen meats and cheeses. They also offer homemade salads, a variety of gourmet sandwiches and if you have a sweet tooth you can choose from their selection of muffins, coolies and cakes. “Krave” has a friendly atmosphere that offers a large flat screen television and free Wi-Fi access. You can choose to sit indoors or on the patio or you can take advantage of their convenient drive-thru.